We don't have any banner, Flash, animation, obnoxious sound, or popup ad. We do not implement these annoying types of ads! Please add mackie100projects.altervista.org to your ad blocking whitelist or disable your adblocking software. What mac os version does your computer have? Translate “Clover Configurator” into your language. 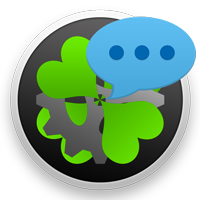 Translate Clover Configurator into your language. Download XLIFF document, translate and leave a comment with link to download file just translated. Ozmosis Configurator like as Clover Configurator will help you create custom configuration files for the Ozmosis EFI bootloader via a streamlined graphical interface. 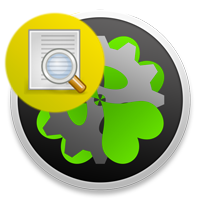 Clover Configurator designed to help you create custom configuration files for the Clover EFI bootloader via a streamlined graphical interface. Clover Configurator – Changelog – What’s New in Version 5.4.3.1 (Apr 11th, 2019) Fixed some typos in Chinese and Russian languages Download here. Clover Configurator – Changelog – What’s New in Version 5.4.3.0 (Apr 10th, 2019) Added “cn” to Language key in Gui section Updated Korean and Russian languages Added Chinese (Simplified) and German languages (Thanks to 草原企鹅 and Патрик Швейцер) Download here. Clover Configurator – Changelog – What’s New in Version 5.4.2.1 (Apr 5th, 2019) Fixed copy/paste functions Download here. Clover Configurator – Changelog – What’s New in Version 5.4.1.1 (Feb 6th, 2019) Fixes (Thanks to raju) Download here. whattt1010 on Translate “Clover Configurator” into your language. Penguin on Translate “Clover Configurator” into your language.